One of my goals in life is to travel as much as I can, to see the world and experience different cultures is amazing to me. Having recently come back from travelling around Spain and having the best time ever it has made me want to go on many more adventures all over the globe. 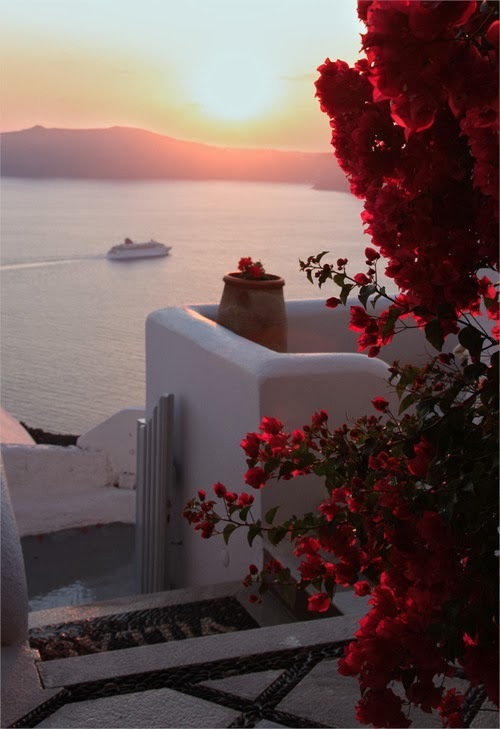 This series of Travel Wishlist posts will only include about 5 places that are on the top of my list at the moment and in no particular order I decided to start it off with - drumroll please - SANTORINI , Greece! 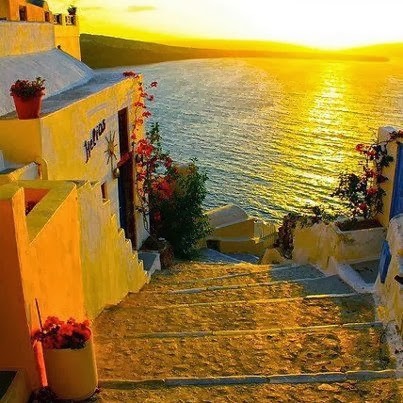 Most of my fellow travellers on my Spain tour had been or were going to Greece and they were most excited about visiting Santorini, having seen their photos and scrolling through hundreds of pictures on tumblr it looks breathtaking. 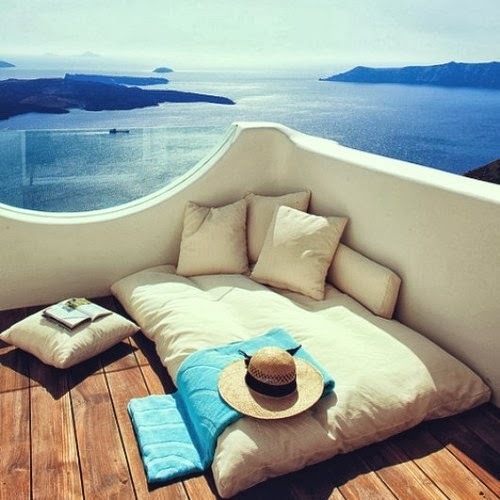 Greece in general is somewhere I would love to visit, but Santorini would be my top destination. 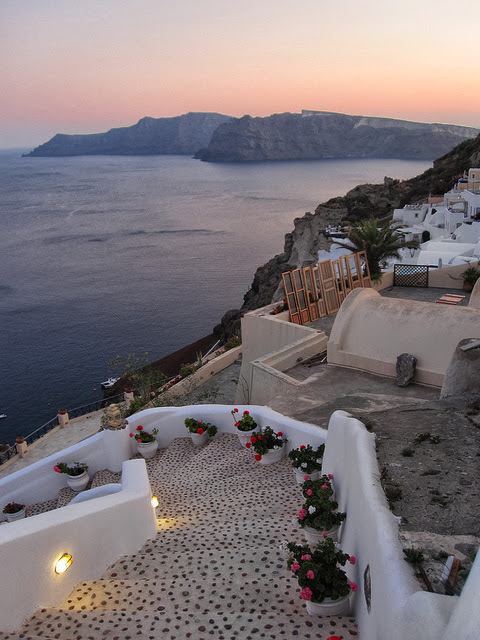 The whitewashed walls and cobbled pathways set the scene for what would be the most relaxing holiday, the views across the ocean look amazing - imagine being there at sunset. Bliss. My Travel Wishlist posts will be live every Wednesday, I would love to know what places are on your travel wishlist? I would love to visit this place as well!! 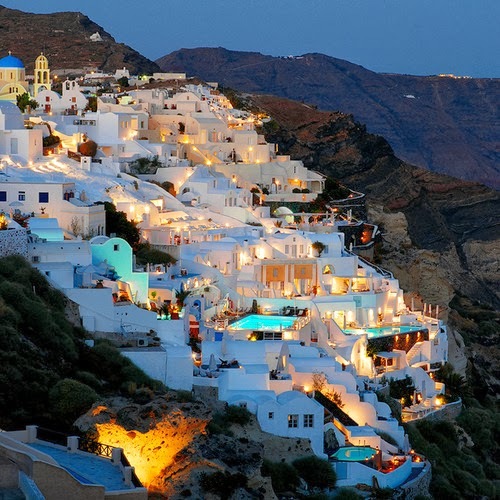 It is just such a breathtaking area and I would then totally visit Athens as I am such a history geek!! Can't wait to see the next destinations! Definitely, eek me too! It would be fascinating!